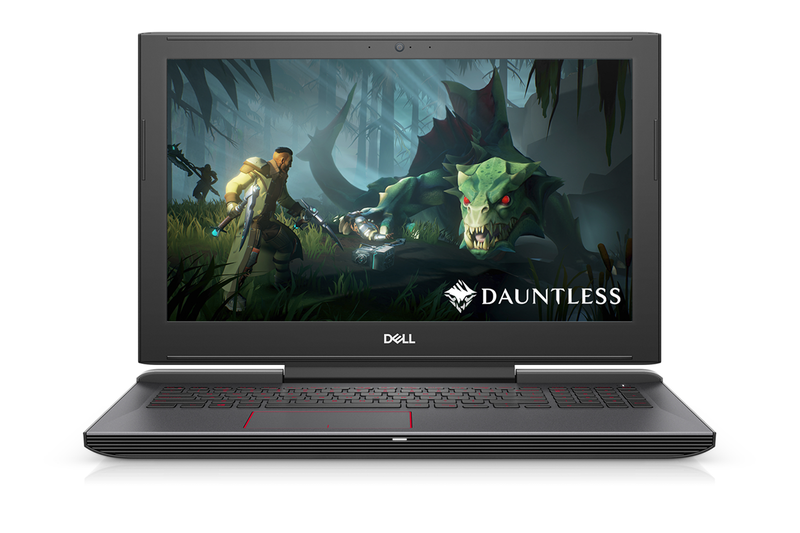 Dell has bolstered its range of gaming laptops with the introduction of a slew of models launched under the new G Series umbrella. 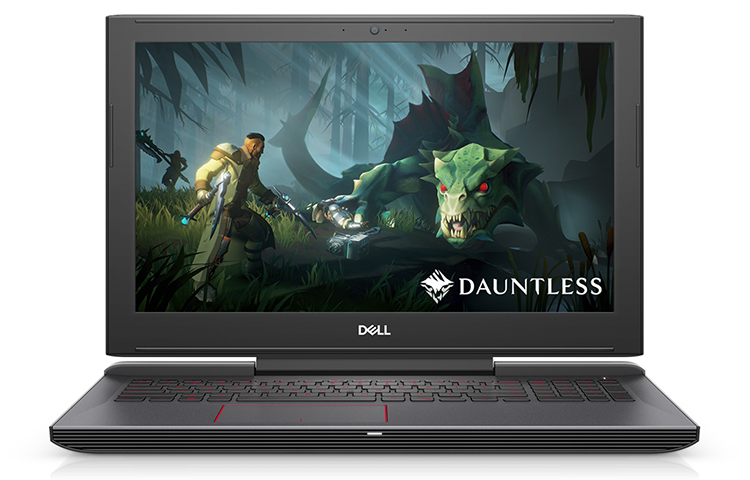 Intended to replace the existing Inspiron Gaming line, G Series systems promise a "gaming-first package that won’t break the bank," and are designed to extend Dell's gaming appeal beyond premium Alienware machines and into the mainstream. 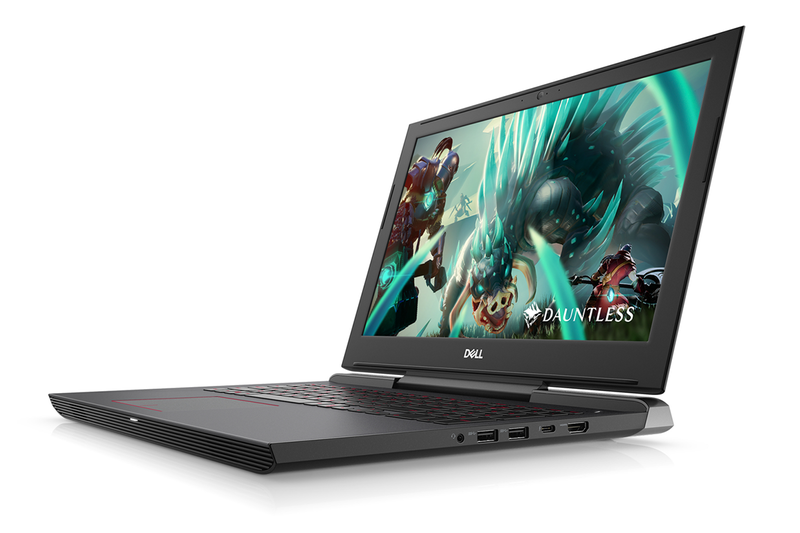 The new line-up will initially be divided into three tiers - G3, G5 and G7 - with prices starting from around £750, and all launch models flaunt an 8th Gen Intel Core processor and dedicated Nvidia GeForce graphics. To see how the G Series stacks up, we have the mid-range G5 15 in for review today. 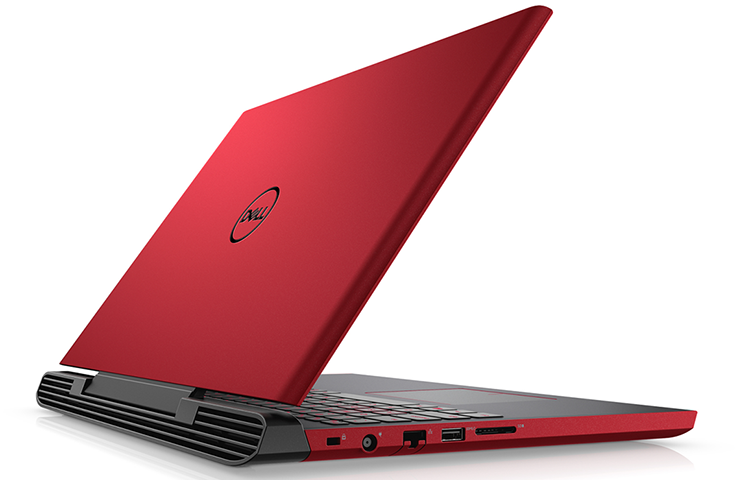 One look at the G5 15 chassis reveals plenty about Dell's ambition for the product. This is the existing Inspiron 15 7000 Gaming chassis repurposed for another generation, and the design, shape and quality of the 389mm x 275mm x 25mm frame can be considered playing it safe. There are sexier, more dynamic and smaller 15in gaming laptops out there, yet they tend to be priced the wrong side of £2,000. The G5 15 starts at a far more palatable £829, and there's a good mix of base specifications to choose from. The entry-level unit offers a quad-core Intel Core i5-8300H processor, 8GB of single-channel DDR4-2666 memory, a 1TB hard disk and Nvidia GeForce GTX 1050 graphics. Our review sample, priced at £999, swaps memory to a preferred dual-channel configuration, adds a 128GB M.2 SSD as the primary boot device, and upgrades graphics to GeForce GTX 1060 Max-Q. Increase the budget to £1,299 and you can bag 16GB of DDR4 memory, a 256GB SSD and a hexa-core Intel Core i7-8750H CPU. There's a decent amount of choice at competitive price points, though storage leaves room for improvement as the 128GB or 256GB SSDs aren't particularly spacious. Frustratingly, US customers do have the option of a 512GB SSD, as well as a high-res 4K display, and we hope said upgrades become available in other regions. Rounding out the UK specification, each machine comes equipped with a matte 15.6in IPS display touting a full-HD 1,920x1,080 resolution, WiFi and Bluetooth duties are handled by an Intel Wireless-AC 9560 adapter, Ethernet is provided by Killer E2400, and there's a 56Wh quick-charge battery that will gain 25 per cent in 15 minutes. 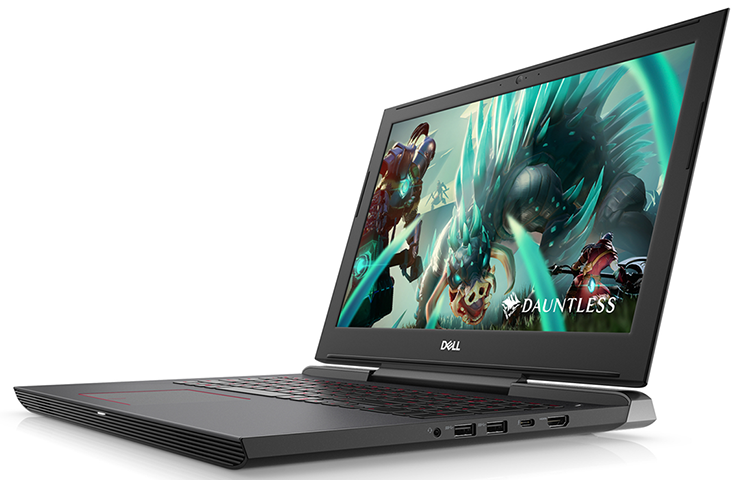 There's nothing to get overly excited about, yet Dell ticks most of the relevant boxes for an affordable laptop with gaming credentials. The matte display offers wide viewing angles and a 1080p resolution that is well suited to the GTX 1060 Max-Q GPU, and our only genuine gripe is the size of the display bezels; they are huge and give the laptop a dated appearance. Still, build quality is decent - there's a creak to the lid if you attempt to twist it, but the main body is surprisingly rigid - and the input devices are enjoyable. Dell's two-step backlit keyboard is comfortable to use, with 1.4mm of travel, a quiet action and a predictable layout that includes an integrated numpad. Joining the keyboard is a large precision trackpad that, save for the somewhat noisy buttons, feels good and responds perfectly well. We also like the fact that there's a half-decent fingerprint reader integrated into the power button, and the 720p, dual-microphone webcam is fine for everyday streaming duties. Making good use of the space afforded by the hefty 2.6kg design, G5 15's right side provides full-size HDMI 2.0, Thunderbolt 3 Type-C, a pair of USB 3.0 and an audio jack. Over on the left there's an SD card reader, a third USB 3.0, Gigabit Ethernet and a connector for the external 130W power supply. A solid selection, and the forward-facing stereo speakers, tuned by Waves MaxxAudio Pro, are surprisingly powerful and able to fill a small room with clear sound, albeit with little in the way of bass. 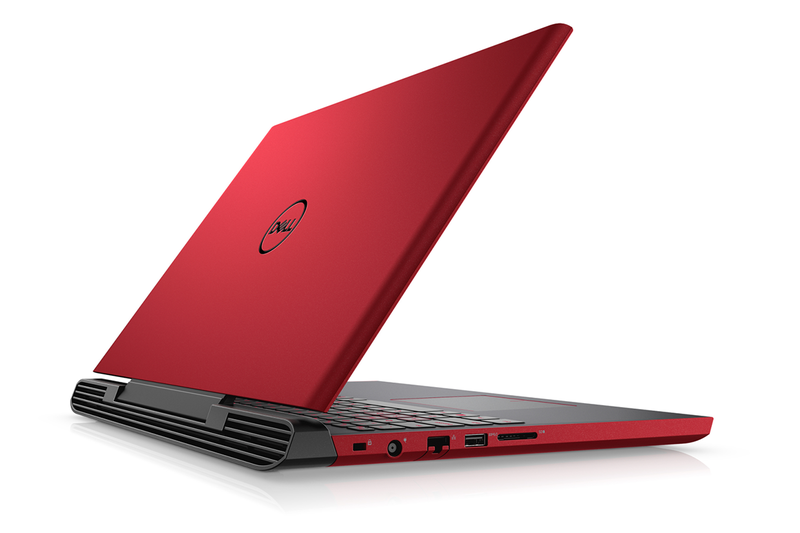 Appreciating that the default matte-black colour scheme might appear too sedate for some gamers, Dell offers a Beijing Red alternative, and we're pleased to see that both colour choices are available at launch for UK customers. 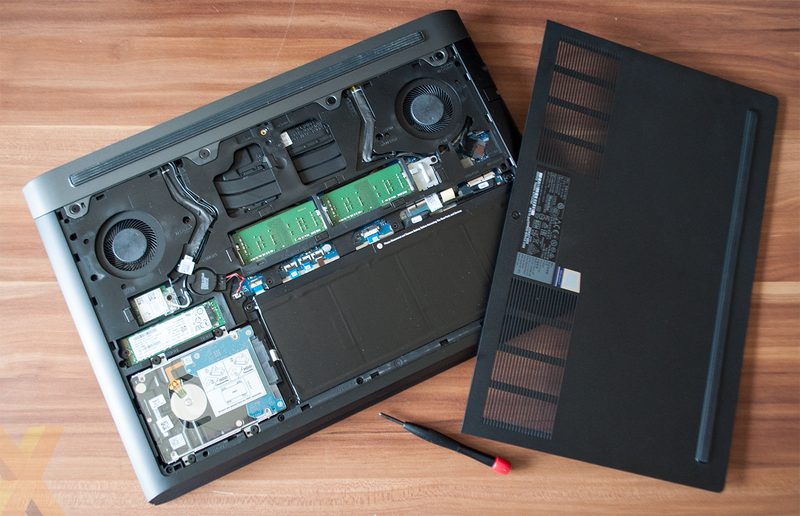 Paying attention to the target audience, Dell also puts a little thought into upgrades and maintenance; the laptop's bottom panel can be unfastened via a single screw, revealing two DDR4 memory slots, M.2 and 2.5in storage bays, as well as a duo of internal fans. There's only a small amount of bloatware loaded on top of the Windows 10 operating system - McAfee Security being the most prominent - and our G5 15 has the makings of a capable £999 gaming PC. But this wouldn't be the first system to struggle to tame an 8th Gen Intel CPU and discrete Nvidia GeForce graphics, so let's see what the benchmarks reveal.